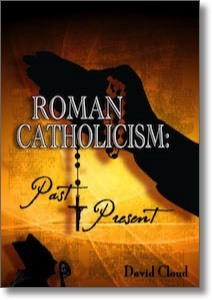 This illustrated report examines the Roman Catholic Church, past and present, and is a vivid warning against the back-to-Rome movement that is growing in influence. We examine the dogma of Mariolatry past and present and witness Mary the Queen of Peace, Mary assumed bodily into heaven, Mary sitting with Jesus in His throne, Mary crowned Queen of Heaven, Mary worshipped in the Chapel of the Virgin of the Grace of Saints, even MARY HANGING ON THE CROSS WITH JESUS. The book contains pictures of most of these things.